WASHINGTON — The Army has moved on from calling its guiding warfighting concept “Multi-Domain Battle” to the more encompassing “Multi-Domain Operations,” but the concept has undergone a metamorphosis that goes beyond just a name change. To reflect changes made to the MDO concept, the Army plans to soon — likely by the end of the month — roll out its MDO 1.5 version of the concept after several years of evaluating what MDO truly means on the current and future battlefield. “As a concept, this is not the final answer,” Gen. Stephen Townsend, the Army’s Training and Doctrine Command commander, said in the foreword of an advance summary of MDO 1.5 obtained by Defense News. “It is the evolution of a larger effort to develop and revise Army thinking and requirements to defeat multiple layers of stand-off in both competition and conflict. “We will revise and update this concept as we learn from other services, allies and partners, and our adversaries. The evolution of this concept into doctrine and practice will inform the way the Army recruits, trains, educates and drives constant improvement and change to ensure the U.S. Army can deter, fight and win on any battlefield now and in the future,” he said. In the 1.5 version, the service has added “extensive” clarity, Lt. Gen. Eric Wesley, the Army Capabilities Integration Center director, told Defense News in an interview leading up to the Association of the United States Army’s annual conference. “You’ll find much more detail in what we describe in terms of how we would conduct multidomain operations,” he said. The second major change to the concept is the addition of “significant analytical rigor,” Wesley said. “You could argue that multidomain battle was a hypothesis, and now it has truly evolved into a legitimate concept with reams of data and experimentation and analytics behind it,” he said. The Army has been able to refine the concept through a variety of exercises and wargaming simulations, including the first Joint Warfighting Assessment 18 held in Germany this past spring. “Multidomain 1.5 is in many ways a product of what we learned from JWA,” Wesley said. 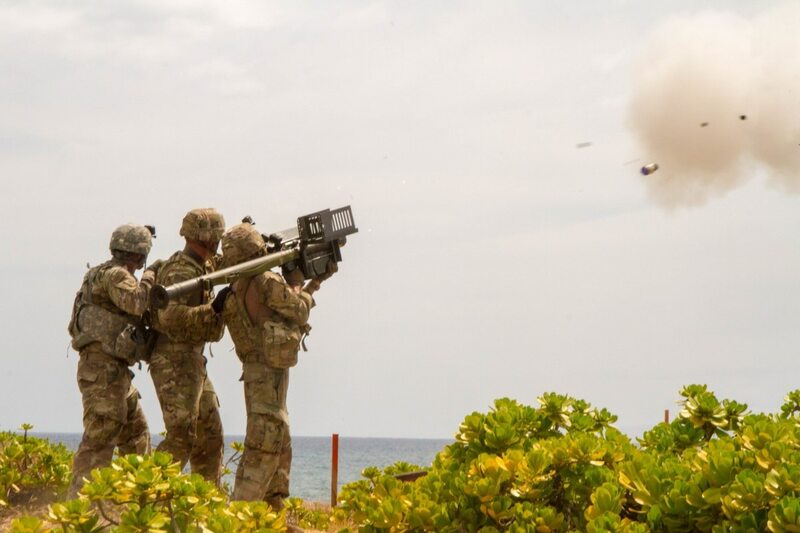 But it’s also a product of what the Army learned through its new Multidomain Operations Task Force, which has been focused on refining the concept through exercises in the Indo-Pacific area of operations. The Army also put more energy into the role of multidomain or how multidomain operations would be executed across echelons, to include very specific requirements to ensure units are effective at carrying out MDO, according to Wesley. “The ability of Army formations at echelon to converge capabilities in multiple ways and sequences provides the joint force commander with options to impose additional complexity on the enemy,” the MDO 1.5 summary states. It also lays out in detail what each echelon is responsible for when converging to penetrate enemy defenses. The service and its joint partners are also coming together to better define “convergence” in MDO and what that really looks like. While multidomain battle emphasizes fighting across all domains — land, air, sea, space and cyber — the evolved concept recognizes that in a contested environment, the joint forces won’t have dominance across the entire spectrum. Synchronizing or creating convergence allows the joint force to create overmatch, Wesley added. The concept as a whole continues to recognize that the United States' peer adversaries — Russia and China — have invested in ways to mitigate its capabilities, and now the U.S. has found itself in a stand-off situation. “We find ourselves in this position where we are vulnerable to the investments of stand-off, making our ability to conduct expeditionary deployment very difficult,” Wesley said. And it goes beyond adversaries' physical investment in systems like long-range precision fires, their influence on social media, or even a concern that adversaries have meddled in U.S. elections, for example, Wesley said. “That’s the first round in the stand-off engagement,” he added. The concept recognizes there are two different stand-off periods: competition and conflict. But it also recognizes that sometimes it’s hard to tell what period of stand-off one is in because of hybrid warfare and the ambiguity that comes with that. The Army addresses solutions to the problem of stand-off through the moniker “compete, penetrate, dis-integrate, exploit and recompete,” Wesley said, which describes the path the Army must take using its capabilities to be successful against an adversary should it move from competition to conflict. That path is detailed in the concept. The Army is looking beyond ground warfare as it prepares to fight on an increasingly complex and unpredictable battlefield, the senior commander of Training and Doctrine Command said. While the service had originally planned to just move straight to publishing 2.0 version of MDO, it decided it needed a 1.5 and accelerated its publication because the Army wanted to make sure that its modernization efforts and priorities actually align with its concept, according to Wesley. Also, to not get ahead of the joint force, the Army decided to refine what it believes is its role operating across multiple domains alongside the joint force, and leaders wanted to have that fleshed out before the Army reached a 2.0 version, Wesley explained. The 2.0 version of the concept will be released in the fall of 2019, he said.